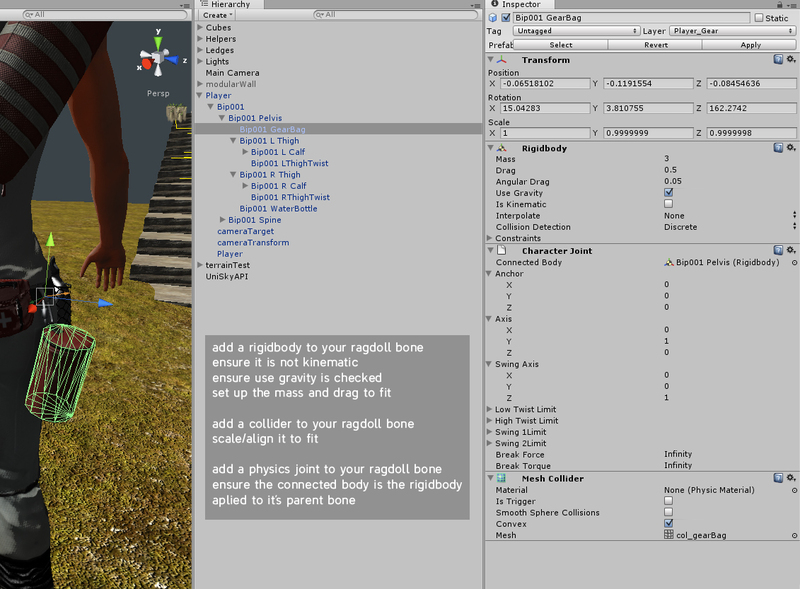 Apply a rigidbody and collider to the ragdoll bone. Ensure it’s not set to Kinematic and that Apply Gravity is checked. Add a physics joint and set the Collision Body to the rigidbody you applied to the parent bone.